Images above and below are © Disney Enterprises, Inc. Opening right in time for the holidays is “Snow White and the Seven Dwarfs: The Creation of a Classic” at the Walt Disney Family Museum in San Francisco’s Presidio. This delightful and informative exhibit combines a rightly deserved tribute to the film, “Snow White and the Seven Dwarfs,” with a detailed view of the film’s animation process and some kid-friendly multimedia effects. The 75th anniversary of “Snow White and the Seven Dwarfs,” Disney’s first feature-length animated film, and many say his best, is the prompt for the exhibit. It’s also the first major exhibition for the Walt Disney Family Museum. After four years of constant work and the doubling of Disney’s staff, “Snow White and the Seven Dwarfs” was first released in 1937. It drew immediate raves from critics and audiences worldwide, including the Venice Film Festival’s Grand Biennale Art Trophy and special awards from the New York Film Critics Circle and The Academy of Motion Pictures Arts & Sciences. The film also received an honorary custom-made Oscar with one standard-sized Oscar as well as seven statuettes (for each of the dwarfs), which were presented to Disney by Shirley Temple in 1939. 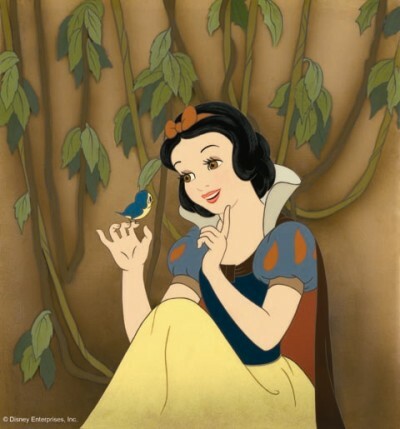 “Snow White and the Seven Dwarfs” was a significant milestone in animation. It was the first film to be released with an original soundtrack and accompanying merchandising, but more importantly, with “Snow White and the Seven Dwarfs,” Walt Disney and his artists defined the artistic, rich, supersaturated-color animated film, with first-rate plots and characters showing the full range of human emotions. It would set the bar for all other Disney animated feature films. Diane Disney Miller, Walt Disney’s only biological child, is the co-founder force behind the Walt Disney Family Museum, which is funded by the Walt Disney Family Foundation. She is clear that The Walt Disney Company had nothing to do with establishing the museum. In fact, she is quoted as saying, “The Company probably wouldn’t have done it.” Perhaps this is a reference to the failed relationship between Diane Disney Miller and The Walt Disney Company. Her Husband, Ron W. Miller, was CEO of The Walt Disney Company until 1984, when Diane’s cousin, Roy E. Disney, supported The Disney Company in Miller’s ouster in favor of Michael Eisner. The museum acquired or was lent over 200 brilliant and charming artworks, some never before seen by the public, that represent the multi-faceted process of animation, including story sketches, concept art, model sheets, backgrounds, animation, cels and cel setups. Many of these stand-alone pieces are sophisticated and intriguing works of art, while others are interesting and instructive (such as the color indication chart for the dwarfs, right). I saw the exhibition on a beautiful sunny day. The museum building was formerly part of the Presidio, a United States fort, where it was used as a gym. The museum is housed in a clean red brick building fronted with slim white columns set among vistas of the San Francisco Bay, the Golden Gate Bridge, and the expansive Presidio Park. A visit to the Walt Disney Family Museum to see “Snow White and the Seven Dwarfs: The Creation of a Classic” is pure pleasure. emilymendel@gmail.com©Emily S. Mendel 2012 All Rights Reserved.